​Now on Exhibition at the Royal Art Society Spring Exhibition. ​Thrilled to hear that this painting is a Finalist in the Hornsby Art Prize 2017. 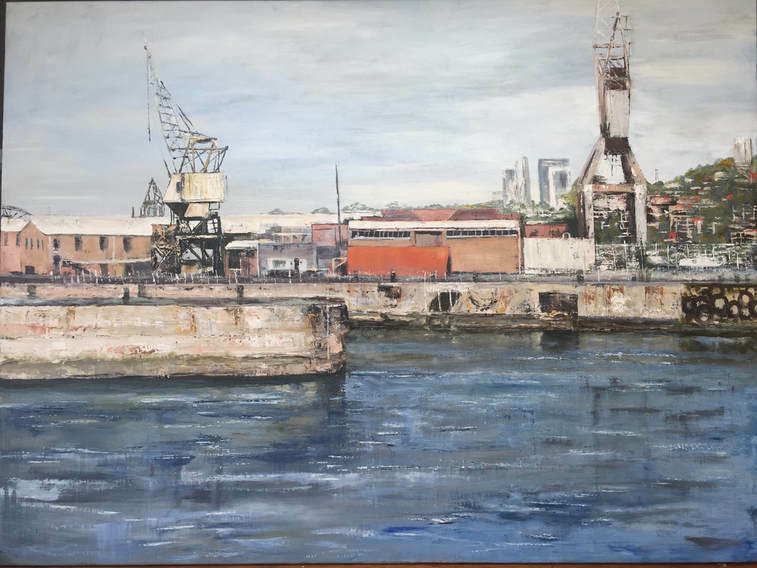 Painting is in oil and the subject is under the decaying wharf at the Coal Loader at Waverton. Lots of darks, rich rust and reflections in water. The Finalists Exhibition will take place at Wallarobba Arts and CulturalCentre, 25 Edgeworth David Avenue Hornsby. The Art work is in mixed media on Arches paper. The 'Musicians' various bands and locations. "WeirD Assembly". Reverse side is audience dancing featuring "chookie"! 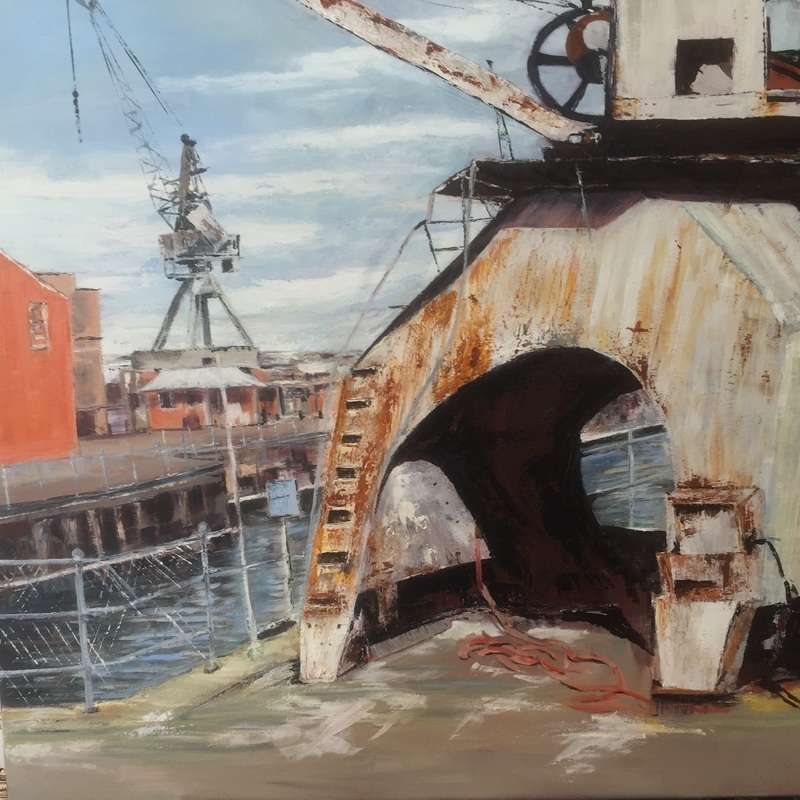 Northbridge Art Prize 2016 September 2016. Selected Finalist 2014 Paddington Art Prize. 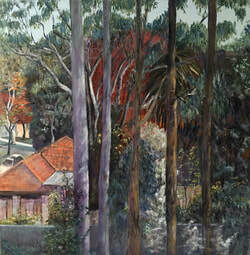 Selected Finalist in Mosman Art Prize 2013 Private Collection. 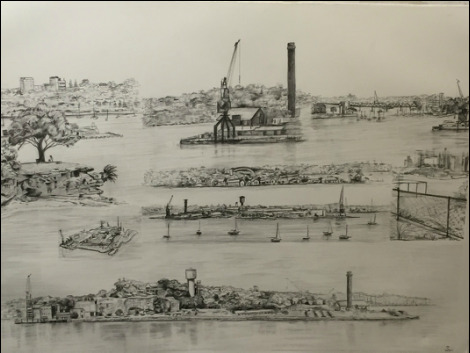 Below: Glebe Point west to Birkenhead Point. Director's Award Royal Art Society 2012. Sold.